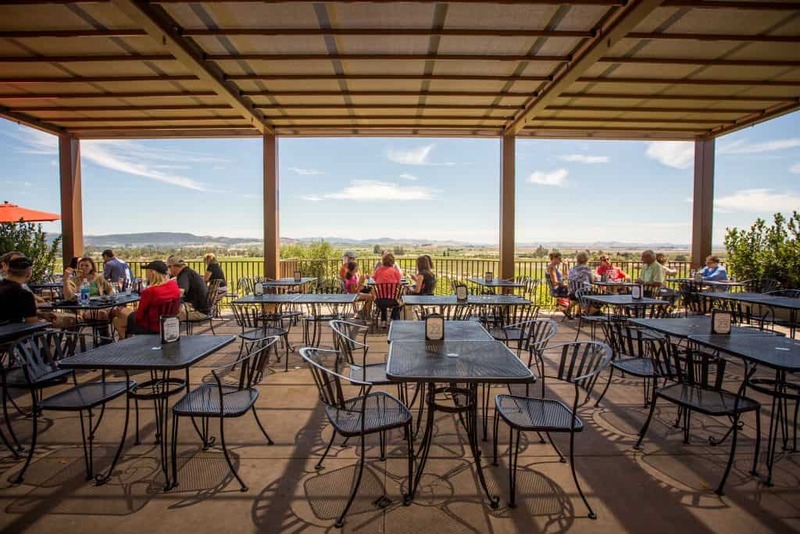 This is one 1 of 3 posts written in exchange for a discounted ticket to the Wine Media Conference held in Walla Walla, WA in October 2018. In case you haven’t seen her, she does show up on in the wine section at major grocery stores quite frequently. She is from the La Friexeneda family that makes Friexenet, the well-known bubbly bargain. 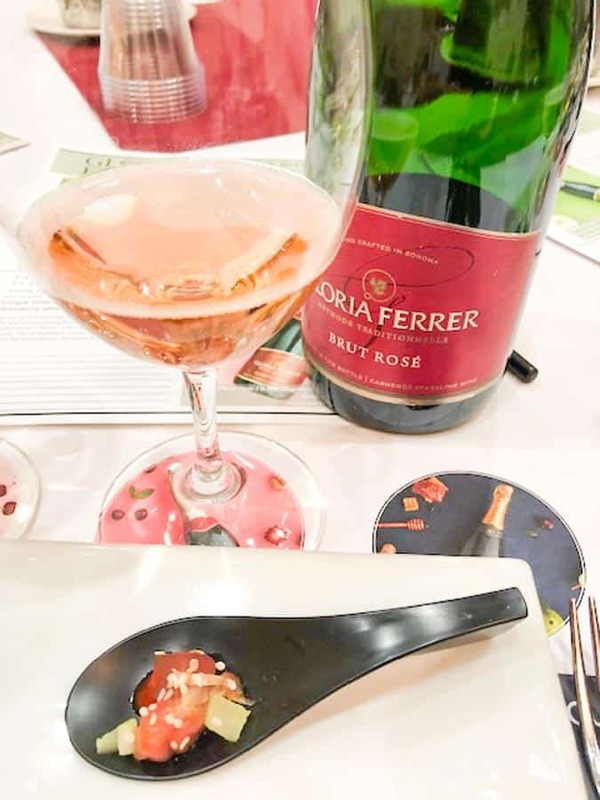 Founded by the Ferrer family of Spain, Gloria Ferrer is a Sonoma County winery named after Jose Ferrer’s wife, Gloria. The Ferrers have been making wine since the 1500s and own La Freixeneda, the well established cava producer from Catalonia. Pedro Ferrer died in the Spanish Civil War in the 1930s, but his son Jose kept his father’s dream alive. 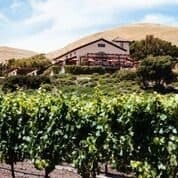 In 1982, he and his wife Gloria bought a 160 acre cattle ranch in the Carneros region of Sonoma County and planted pinot noir and chardonnay grapes. The winery opened for business in 1986. 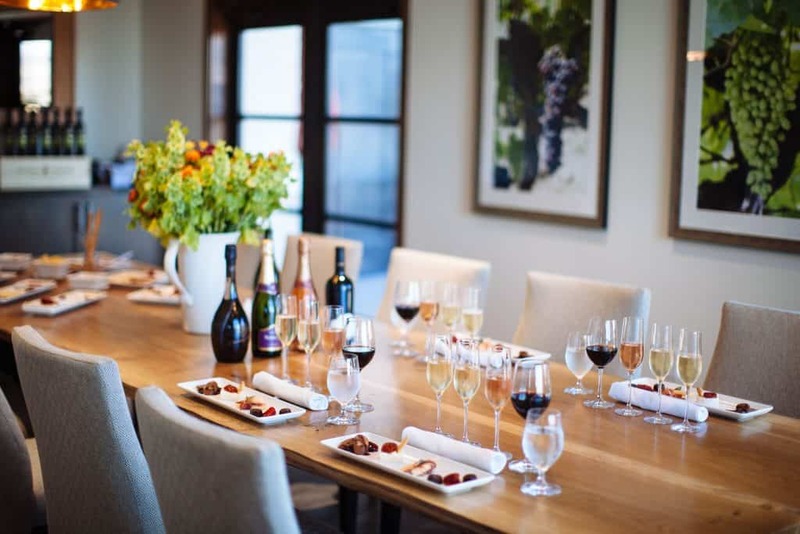 The Carneros American Viticultural Area (AVA) has cool summer temperatures and moderate winters, allowing the grapes to fully ripen with lower sugar and more acidity. It is the first AVA designated by climate and soil and runs through both Napa and Sonoma counties. The sparkling wine is made in the methode traditionelle. 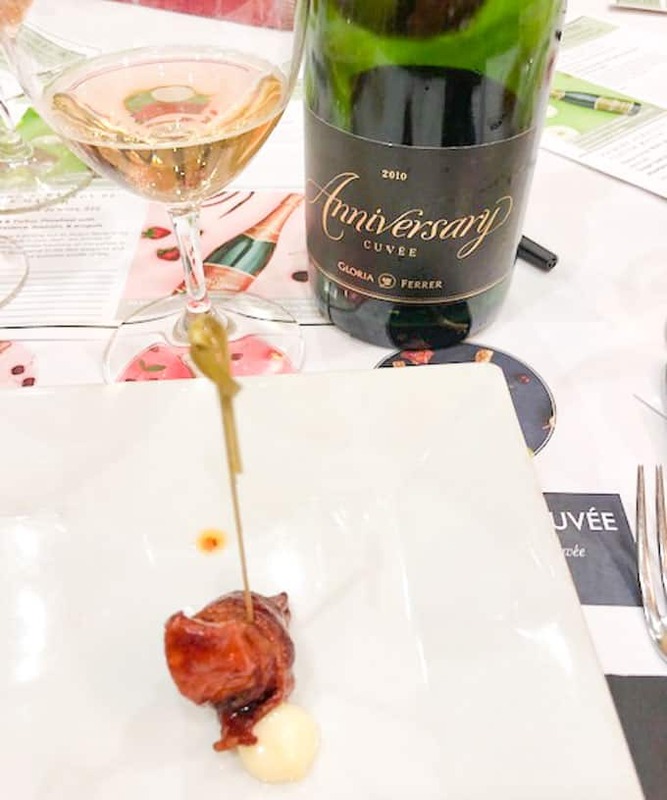 Also known as methode Champenoise, it is the classic and labor intensive method where the bubbles are created inside the bottle via secondary fermentation. Sugar is converted into alcohol, which produces carbon dioxide inside the bottle. The trapped carbon dioxide, in turn, makes the tiny little bubbles we know and love. All Champagne and high-end sparkling wine are made this way. Champagne, of course, can only be named as such if it comes from the Champagne region in France. All others are sparkling wines. The adage is that sparkling wine goes with everything, but does it? When in doubt, yes do reach for the sparkling (except of course with heavy meats where a red wine may be more appropriate). 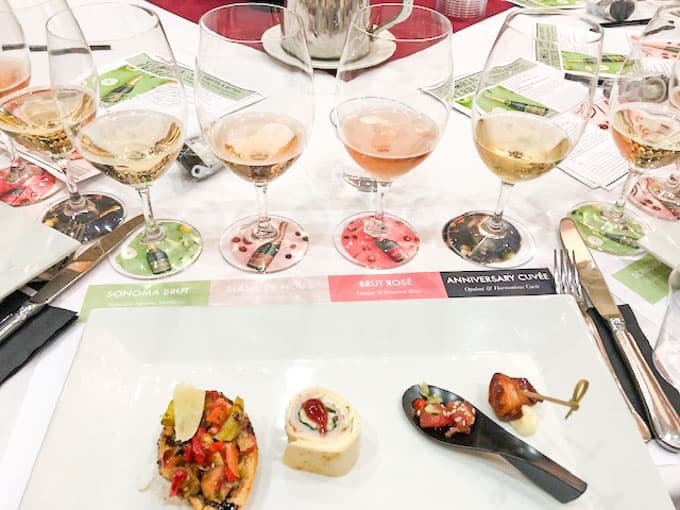 At a tasting session hosted by Gloria Ferrer Caves & Vineyards, Sommelier Sarah Tracey of The Lush Life constructed these four pairings to put the palate cleansing power of those bubbles to work on four small bites. This wine has notes of meyer lemon, tangerine peel, golden raspberries, yellow plum, apple and warm toast. 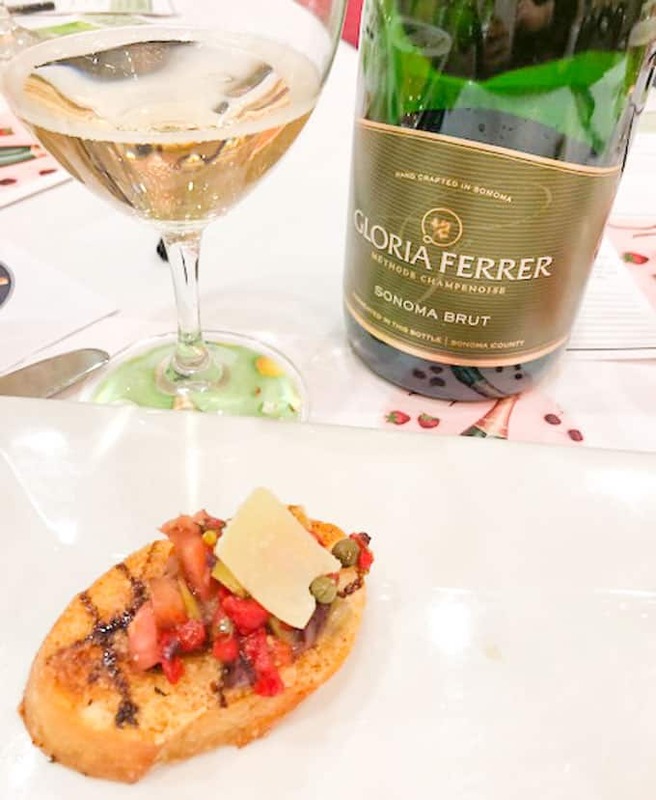 The Gloria Ferrer Sonoma Brut screams with acidity and has your saliva glands churning. Pair with something equally acidic such as the tomatoes and balsamic vinegar on this bruschetta. It will bring out the sweetness in the wine, instead of making the wine flat. This wine has notes of red fruit, red raspberry, strawberry, candied grapefruit, and plum. The idea here is to pick a flavor in the wine and echo that flavor in the dish. Strawberry preserves in the turkey pinwheel accent the strawberry aroma in the wine. 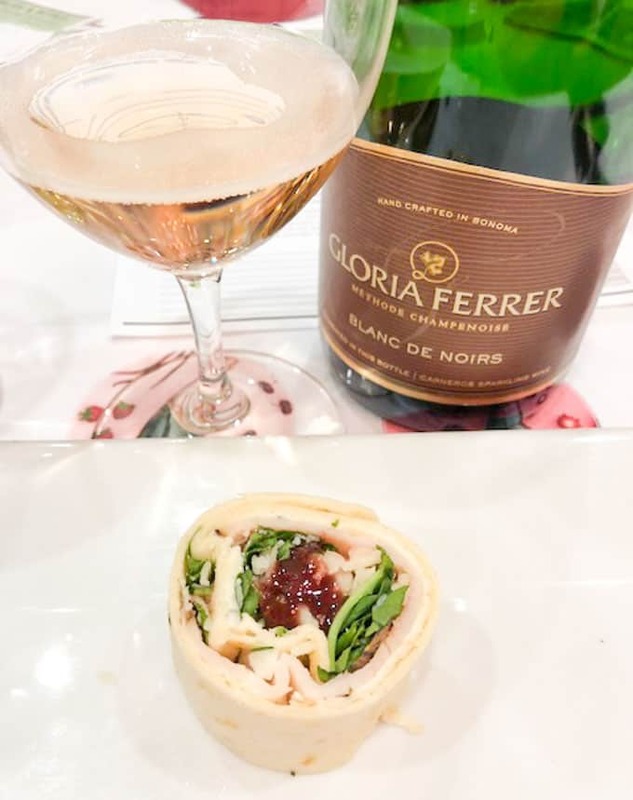 The Gloria Ferrer Blanc de Noirs is a touch vinegary and had time with the skin as noted by its faint blush pink color. It has a much richer texture than the Sonoma Brut, but the bright acidity keeps it from feeling heavy. This wine has tasting notes of strawberry, red cherry, fruit compote, vanilla, and fruit pastries. 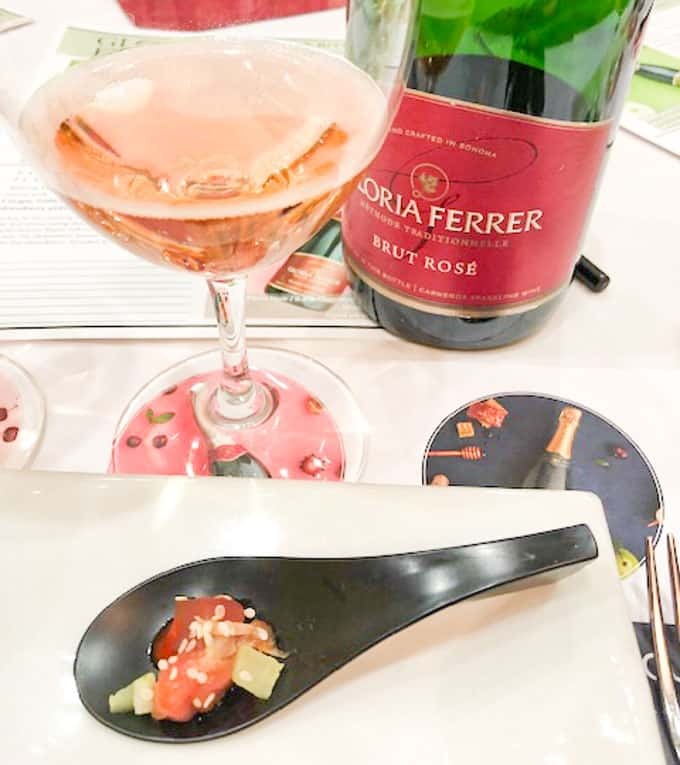 The Gloria Ferrer Brut Rose has a rich mouthfeel and extended finish. 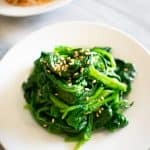 The fruity notes in the wine are enhanced by the spice in the sriracha sauce, heat from the pickled ginger, and umami for the seaweed. 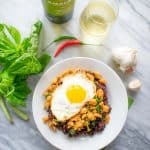 The pairing makes the wine sweeter and the acidity keeps the palate clean and clear. 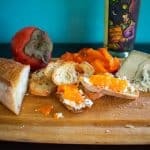 This wine has notes of pear, honey, marzipan, and blanched almonds. The Gloria Ferrer 2010 Anniversary Cuvee has complexity and richness, more so than the previous wines. True to its 2010 vintage, it is a decadent wine and a limited edition. 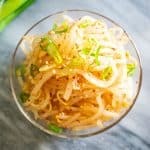 Its voluptuous curves can handle something rich like bacon fat. 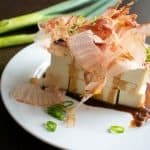 The rich texture is matched with the sweet, creamy scallop. Sparkling wines are not just for oysters and caviar. They play in the sandbox well with everything generally, yes, but each has their own subtleties and quirks that deserve respect. Whether you try any of the above pairings or your own, isn’t it always fun to play the matchmaker? Published on November 7, 2018. Do you love bubbles in your glass? Please spread the Asian ♥ and share!